Don’t let the rain stop you from riding! 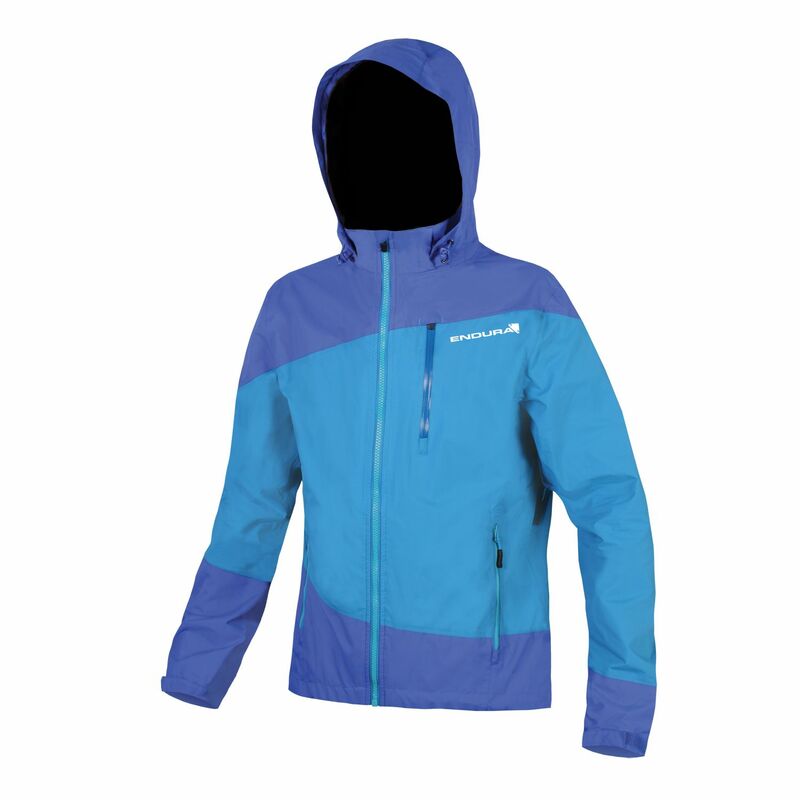 Rigorously tested by Scottish Enduro Champion Katy Winton the Singletrack jacket has been trail proven to be an exceptional piece of kit to ride in when the weather is beating down. The 2.5 Layer waterproof, breathable fabric has a brilliant cycling specific cut; in addition to the ergonomic cut of the body, the sleeves are longer to keep you wrists covered and the hood actually fits over a helmet snugly. The hood also neatly rolls away and stores in the neck. The cuffs and hem have adjusters to cinch down and block the weather out. The fabric breathes really effectively to help with rider comfort but is assisted with zipped vents in the underarms for when it is both warm and wet. Your valuables can be kept safe and dry on the move with a waterproof zippered Napoleon pocket with a media port and there are two further hand warmer pockets on the front. Reflective trims are found on the back to take care of visibility in lower light. You’re going to need a different excuse not to go riding now. Please see below for delivery options for Endura Singletrack Waterproof Jacket. "Excellent value for a waterproof, lightweight, trail jacket "
"Bought this jacket in large and I'm a 40" chest and 5'11" in height,firstly it only took 2 dayz to arrive. Out of the package I was greeted with the lovely blue colour scheme which I wasn't sure about till I saw it in the flesh so to speak. I new it was quality straight away having owned many mbt jackets and hope it was a good fit....it is perfect with two base layers on if it's a chilly day and you still can move freely..zips are spot on,nice length on the drop tail with pull cords for a perfect fit,Great hood easy to pack away and fits over my go to hex just fine,chest pocket fits my Samsung galaxy and what's best is it's properly water proof and breaths a treat with out vents for times when you've really got the hammer down..cant fault this jacket for the money and would have been happy if I'd had to pay full price...but u didn't!! Nice one c/c & endura..happy dayz riding!! "